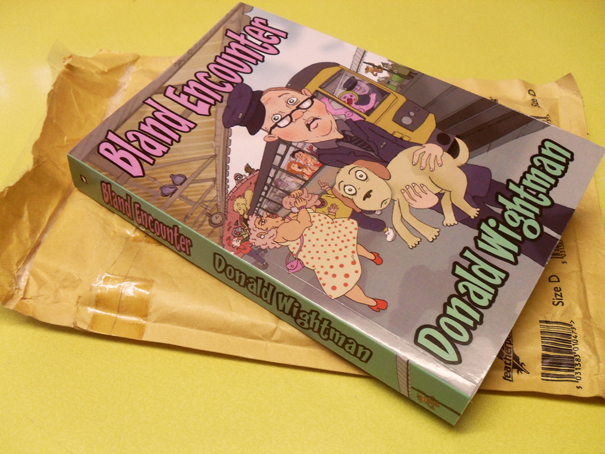 I’ve been sent a copy of ‘Bland Encounter’ from the author, Donald Wightman. It’s a book I created the cover illustration for and he wanted some of the tone and imagery to resemble Viz comics, or the covers of Tom Sharpe books like ‘Wilt’. I guess I was thinking of Beryl Cook too and British postcard humour. The book is published by Matador Books and available here.